The design for this tunic came from an article on newspaper. There it was mentioned about a shop where Salwar suits were available. Some pictures of these suits were also there.I found this design very appealing. I bought a similar cream fabric , and a block printed[borders] black fabric and went to the shop and showed him the picture, and said I wanted the same pattern. Once it was sewn, the embroidery was worked . The embroidery was done only in the front. 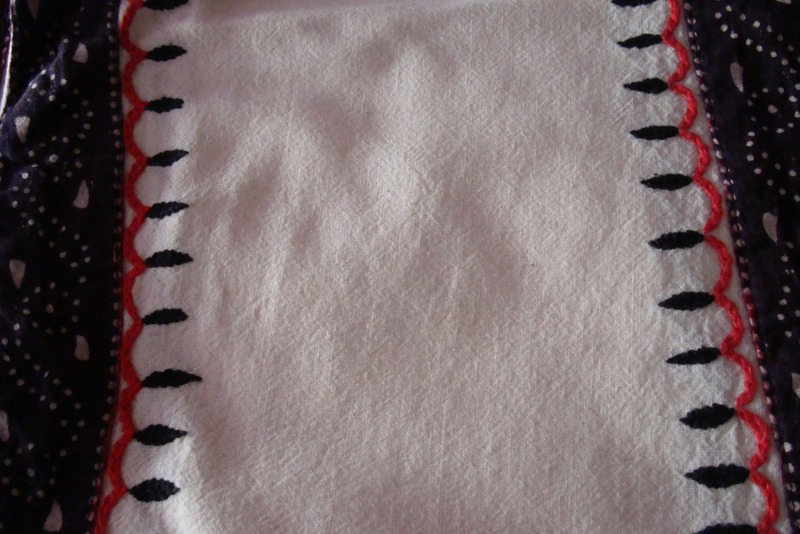 I drew a scalloped pattern around the yoke and on both sides- where the border was attached. This pattern was worked with chain stitch in red colour thread.Over the scallops,I worked a oval shaped pattern in herringbone stitch, this was done in black. Very simple design for a tunic. 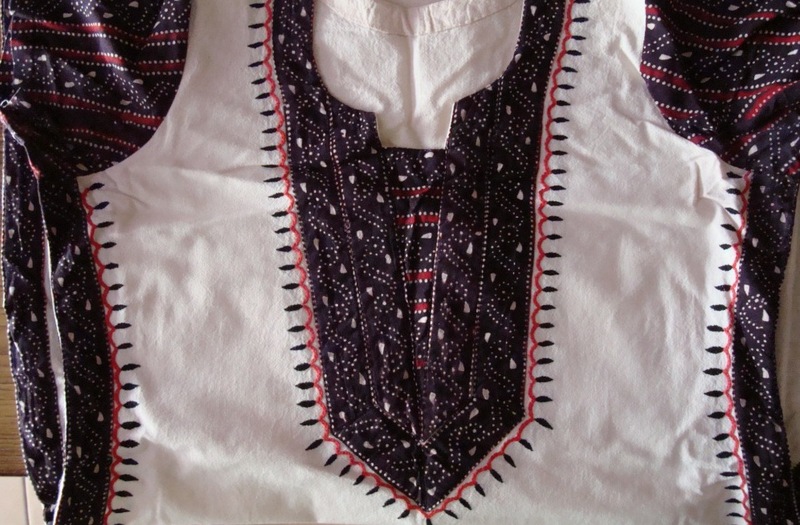 I have had for over ten years now, still Iam quite fond of this tunic, I try to incorporate the borders on the sides for some tunics even now.